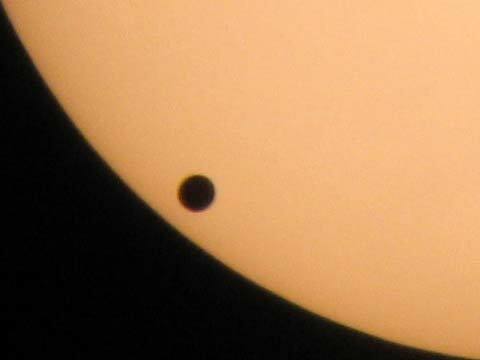 I took the following photos of a Venus transit through the sun on the 8th of June, 2004. They were taken with a digicam Canon Digital IXUS 500 and a Meade ETX-90EC telescope (the person photos were taken by different people and with different digicams). 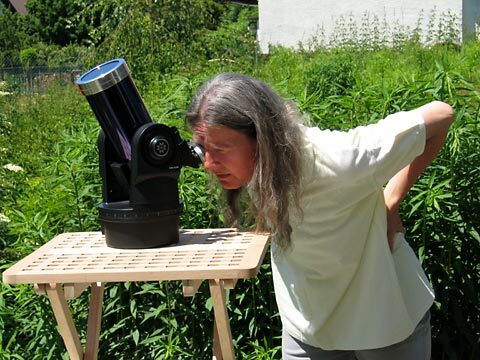 I held the lens of the camera close to the telecope's eyepiece (called 1:50 method because of the many failures). 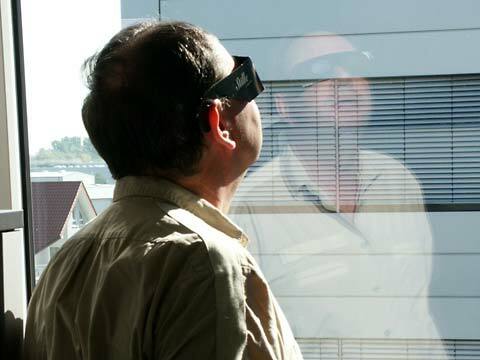 Vignetting was the biggest problem, though. 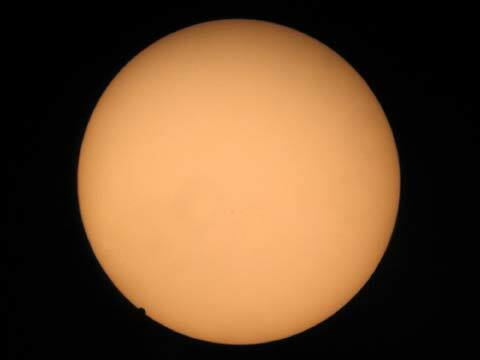 I protected the telescope with a sun filter. 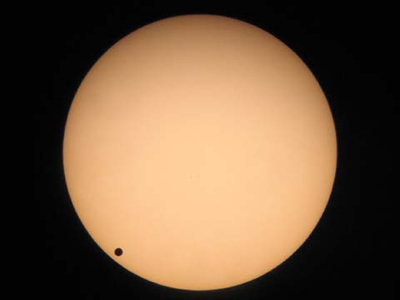 Transits of the Venus through the sun are very rare. The last one took place in 1882. The next one in 2012 was not observable in Europe, and the sama will apply to the one in 2117. 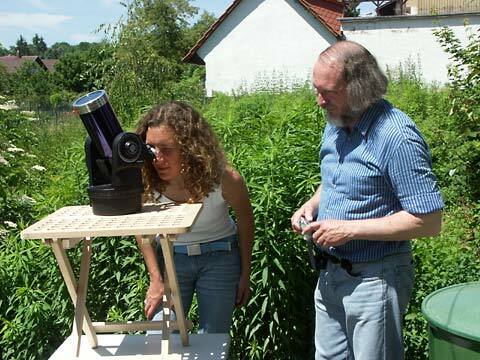 Only in 2125, the next Venus transit can be observed here. 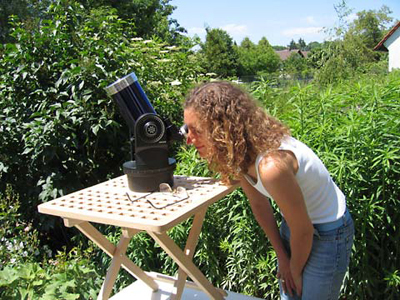 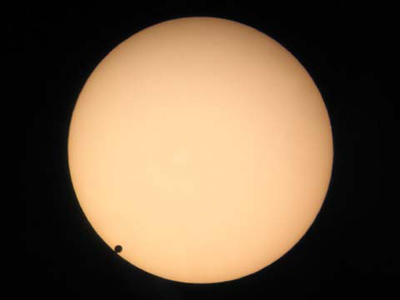 Note: All photos of the Venus transit are reversed horizontally because the telescope does so. The photos were taken shortly before the end of the transit through the sun. 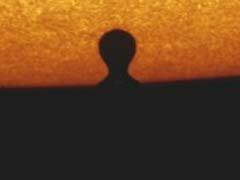 Venus approaches the edge of the sun: there is no visible "drop effect"